I have to maintain a few WP blogs for clients. It’s not a package I overly enjoy working with. Sure, it does the job pretty well and is hugely popular, But there is something about it that I just find to be a bit…cloying. It’s not particularly tidy or exceptionally safe, but it works. Then today I was helping someone out on IRC and I found myself wondering why this is necessary. 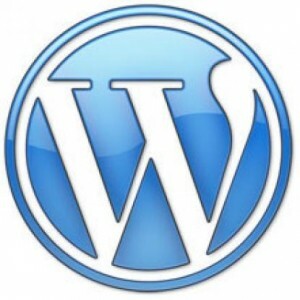 All WP needs to be able to do is to write to /wp-content. This should do it, but it doesn’t work. Hence the above fix. So digging a little deeper, it turns out that when something is done through Dashboard that requires a filesystem write (like downloading a new theme to install), a temporary file is created in the WP root directory to see if it’s writeable. Then the uid for the owner of the new file is compared with the owner of the running script. If they’re the same, the download proceeds. If they’re not, Dashboard redirects to the screen asking for FTP login details. Irrespective of whether wp-content is writeable or not! The problem here is in wp-admin/includes/file.php which uses getmyuid(). This actually returns the uid of the owner of the currently running script, not the uid for the owner of the process the script is running under. So when WP root is chmod root:www-data, the uid for the script owner is 0 for root, even if the script is running as www-data (Apache2 under Ubuntu here). The better function here would be posix_getuid() which returns the uid of the owner of the process the script is running under, but Windows doesn’t support this and WP is multi-platform.